The starting point here is a portrait by the British artist Frank Auerbach (b.1931), which is then distorted, discoloured and turned upside-down. Like many of my paintings, the actual subject of this work is the painted brushstroke. 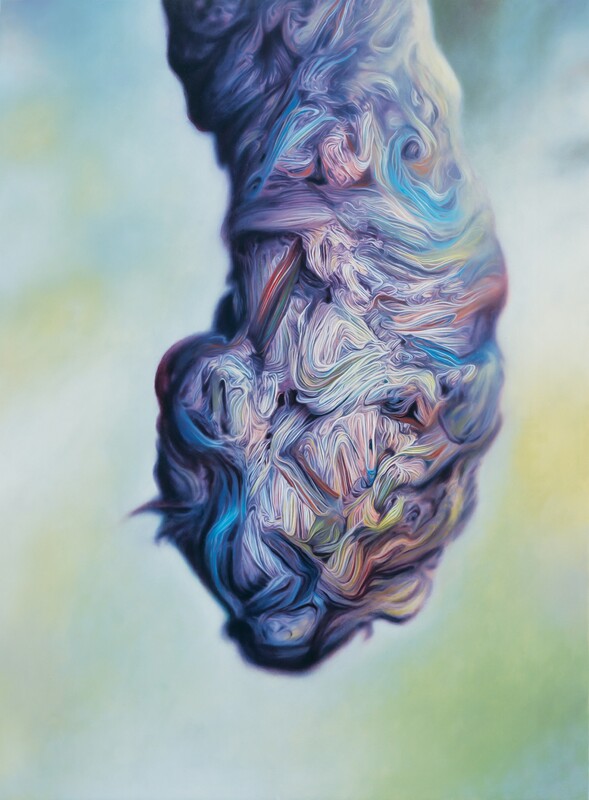 It is fundamentally a painting of paint. Through meticulously and carefully rendered thin layers of paint, I have mimicked Auerbach's thick impasto marks. I do not expect the viewer to recognise the original features of the painting - the face has been made completely abstract and unrecognisable. A painting of flowers by Pierre-Auguste Renoir (1841-1919) provided the Impressionist colour palette.